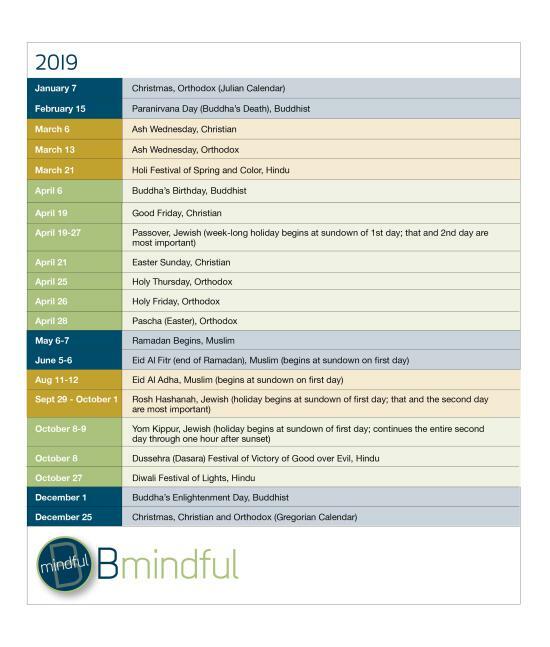 Bmindful is an initiative that seeks to meet the needs of a diverse community by providing event and conference planners dates of religious holy days each year. Knowledge of when these days fall on the calendar is helpful when solidifying dates so that potential conflicts can be prevented as best as possible. Please note this listing does not include all religious holy days. 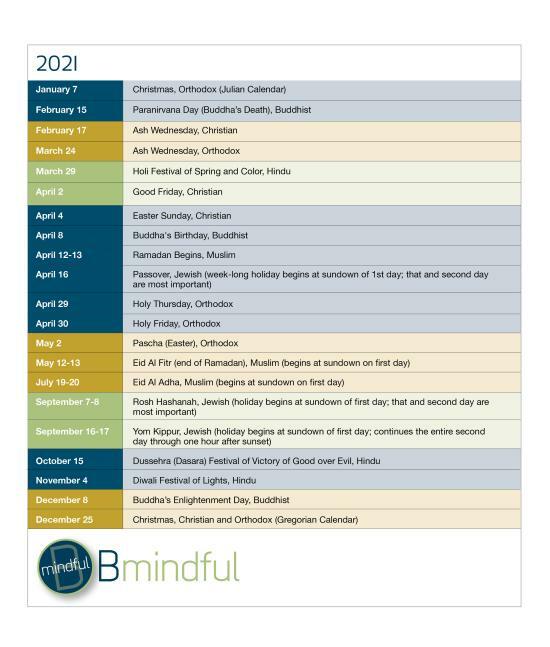 It focuses on the major holy days for each faith, days when congregants may not go to work or send their children to school. Click here for a pdf copy.